Your Guild is an indispensable channel for you to gain power, support and exclusive benefits in Wings of Destiny. We know how important they are to you, and this brand-new feature will bring a whole new dimension to your Guild experience! Read on to learn all about the various structures of the Guild Base and how to defend them against invaders! 1. Click on the “G” hotkey to open the Guild interface. 2. 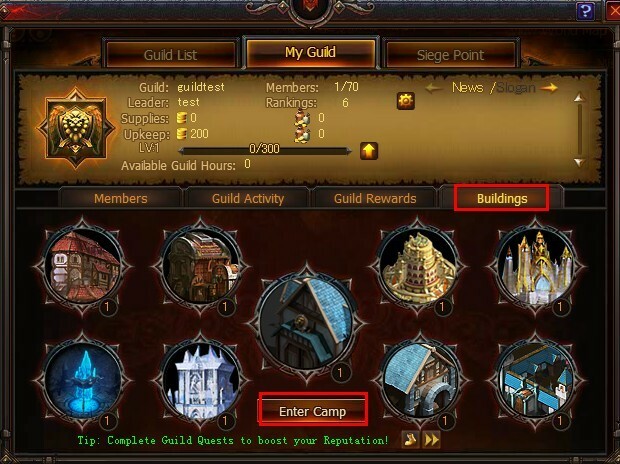 Select the Guild Buildings tab and click the [Enter]. 3. 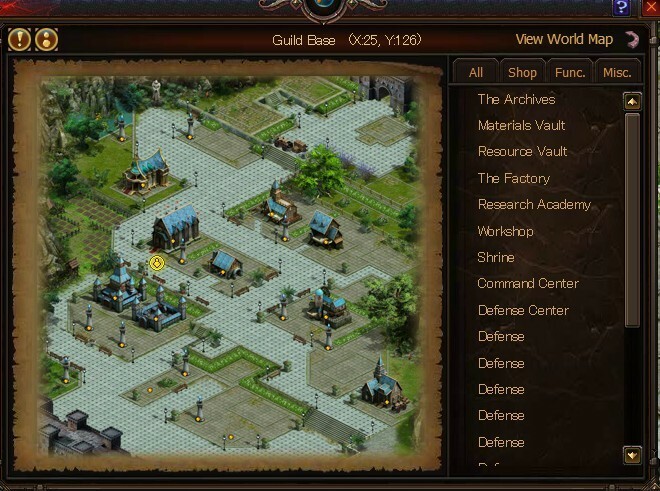 You may also visit the Guild Bases of other Guilds on your server for a small fee. You may do this via the Guild List.